If you are a good photographer and you upload your photos online, it’s inevitable that someone will steal them at some point. Although it’s in a way flattering that someone likes your photos, it’s by no means the way to express their liking. If you want to check whether someone has stolen your photos and where they are, Anthony Morganti discusses four possible ways of doing it. Three of them are free and one is paid, and all of them can do a fair job in finding your images on online places where they don’t belong. The first method is to simply google your name. I’m sure we’ve all done this at some point. 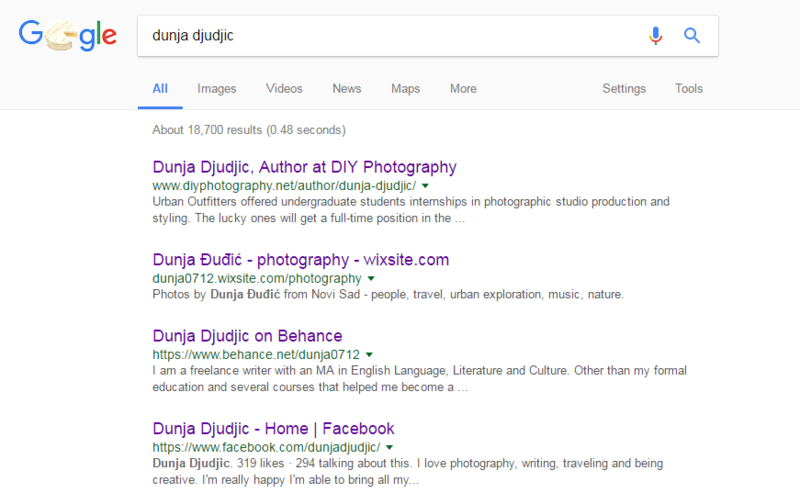 This will help you discover if someone uses your photo, but gives you credit, maybe even links to your website. In a way, this person “borrows” your image without your permission, but at least credits you. In these cases, it’s up to you to decide whether or not you want to do something about it. You can send them a takedown notice, and if you’re okay with getting the exposure without getting the money, you can leave it as is. The other way is again through Google, and in includes using Google Alerts. You can set them to find your name and your website. If the Google finds some of the terms from the alert, you will get an email. This is another way to check if someone has “borrowed” your photo and credited you, as your name will be next to the image. Make sure to use quotation marks around your name to get the alerts for the exact phrase, like you do when you search Google. Otherwise, you’ll get alerts for every website that has your first name somewhere on the page, and your last name elsewhere. 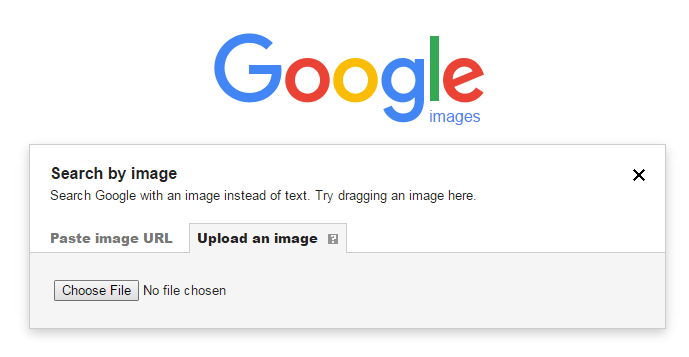 I’m sure most of us are familiar with this approach, the “Search by Image” option from Google. Instead of looking for your name on other websites, it looks for your photos. You can go to Google Images and click a small camera icon. Then, you can upload your photo or enter an URL to a specific photo you want to check. Google will return the results for the photo you’re searching, as well as visually similar images. 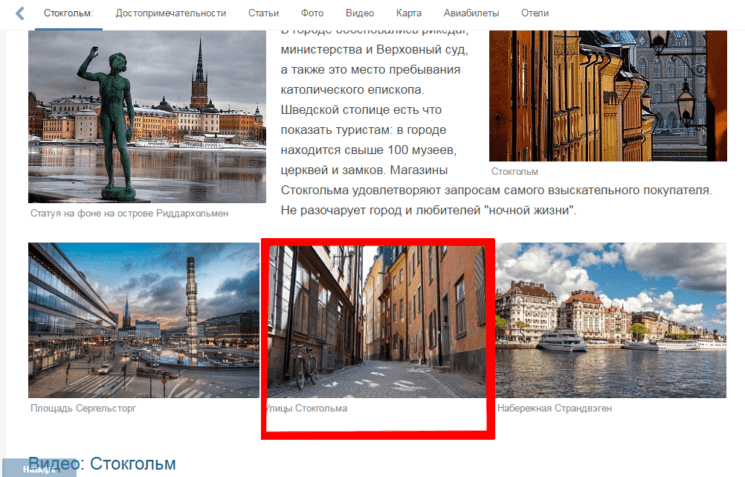 I checked it with one of my photos for illustration purposes, and I was surprised to see that it ended up on some Russian booking website. So, as you see, even average photographers get their photos stolen. As I said, the last solution is paid and it includes adding a digital watermark to your images when you upload them online. The human eye can’t detect it, but the software can in case someone steals your image. And when it happens, you’ll get notified. You get the notifications like with Google Alerts, but for your images, not for your name. Anthony uses Digimarc, and it’s a paid service with three levels: Basic ($59), Business ($119) and Enterprise (custom price). What you get is a plug-in for Photoshop, and you need to apply it to your images through “Filter” option. When you apply the digital watermark, you can go to the Digimarc’s website and get a report to see if there were any stolen images in the previous period you determine. There are certain downsides to this approach, though. First of all is the obvious one – it’s paid. The second one is that it won’t go through certain firewalls – it won’t find your images on Flickr, Facebook, Twitter or any of the websites that have a certain firewall. And unfortunately, this problem is the same with Google: if someone uploads your photo on Facebook, for example, chances are weak you’ll find it. Despite some limitations these approaches have, they’ll still get you somewhere. They are all a good way to search at least a part of the web for your images and find them in places where they don’t belong. And something is certainly better than nothing. I’m curious to know, do you check for your images and do you send takedown notes? What’s your usual way of searching, and do you use any of the paid methods? I haven’t used it. Is it good? I’d also recommend taking a look at Pixsy. I have 13 cases in-progress with them right now, 12 of which are for the same photo. There are free and premium paid tier options. TinEye also provides Reverse Image search and I found that it is better that Google in certain circumstances. Google will also show similar images while TinEye finds the searched photo even if modified (text added, resized etc.). It provides also free and payed services. A downside is that it searches in its own index, so if a website has not been crawled by their software, your stolen image won’t show up. And I don’t know about the behavior with firewalls…but it’s worth a try I think.